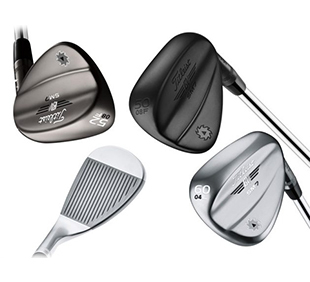 Vokey’s Spin Milled process is unique to each finish and loft for the sharpest, most consistent groove edges. SM7 wedges feature a Parallel Face Texture for tighter quality tolerances and maximum spin. SM7 also features a distinct groove design between lofts: low lofts (46-54) are designed with narrower, deeper grooves, while higher lofts (56-62) have wider, shallower grooves. 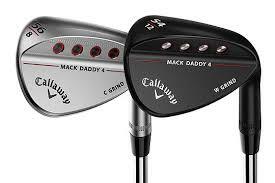 The result is superior spin and control on all wedge shots. Additionally, a proprietary heat treatment process produces best-in-class groove durability for longer lasting spin. If you look on the club face, you’ll see a 16-groove configuration, with a small extra “Nip-It” Groove near the leading edge for added control. On its own, that 16-groove configuration provides excellent spin and control. But we didn’t stop there. Inside of each of these main grooves, we’ve cut in a series of even more aggressive micro-grooves to increase spin significantly on a variety of grooves. So this combination of grooves PLUS micro-grooves provides 84 different contact points, instead of 16. That leads to a lot more spin. C-Grind: Increased relief, especially at the heel, makes it easier to play a variety of shots with the face open. Ideal for medium-to-shallow attack angles and/or rm course conditions. 8° bounce. W-Grind: Sole is wider at the center and toe and narrower at the heel, with moderate heel relief and generous front-to- back camber. That prevents digging without increasing bounce, and keeps the leading edge close to the turf at impact. More versatile than our previous W-Grind. 12° bounce. X-Grind: This new grind features a narrow, high-bounce crescent sole, with the low point near the front. 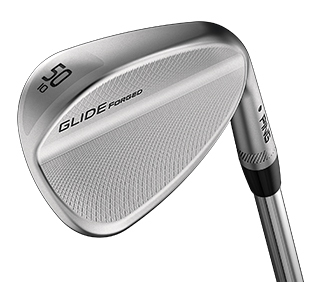 Excellent for moderate-to-steep attack angles and medium-to-soft course conditions. 12° bounce.